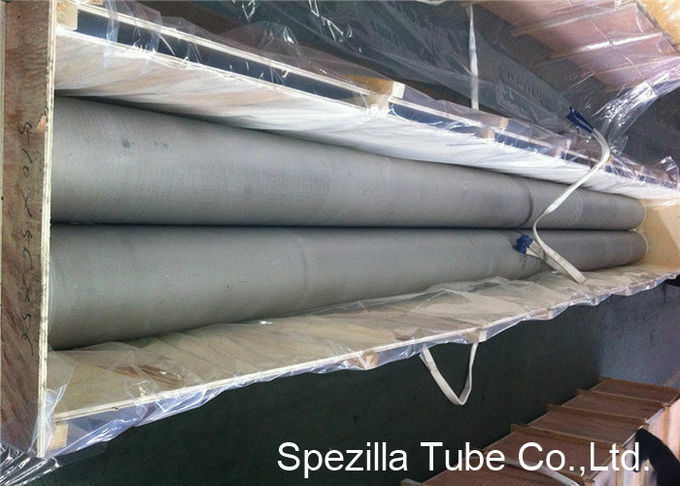 Spezilla produces welded stainless steel heat exchanger tube for heat exchanger, condenser and evaporator, in OD sizes of ½” through 4”. Manufacturing includes austenitic types such as 304L, 316L, 321, along with Duplex stainless steels such as type 2205. All stainless steel heat exchanger tube is produced in-line with length capabilities up to 60’. Wall thickness ranges from .020” up to .145” depending on the OD size. 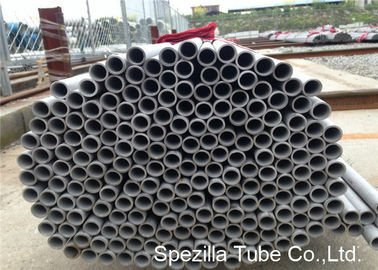 Spezilla's production of welded stainless steel heat exchanger tube follows all requirements and testing procedures per ASME/ASTM SA/A249 requirements for austenitic grades and ASME SA789 for duplex stainless types UNS31803. In addition to the in-line eddy current test, All stainles steel heat exchanger tubes are also 100% air under water tested before final packaging. OD, length and straightness are held to more stringent tolerances than what is required by ASTM or ASME and are continually checked with ring and plug gages to dimensions provided by the customer / fabricator.